Happy Saturday, folks! Hopefully it's feeling a bit like summer in your neck of the woods. 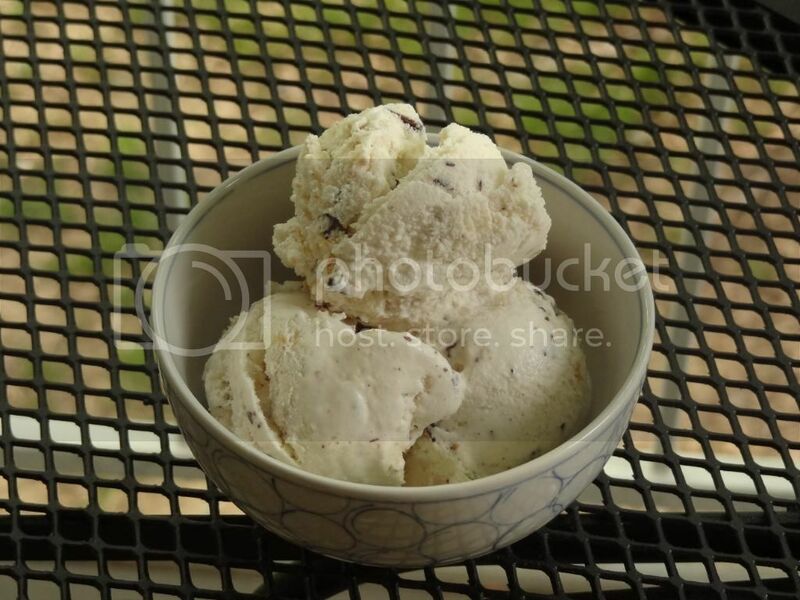 Even though it was rather rainy last week, I made this ice cream. It was fantastic (and gone in a few days)! If you want to lighten the recipe a bit, stop after making the vanilla ice cream. All by itself, the recipe is very yummy. I also especially like the recipe because there was no heating and cooling processes required--just a good amount of whisking to make sure all the sugar has completely dissolved. Thus, if you keep your ice cream bowl in your freezer, you can have wonderful ice cream in about 35 minutes or less. I hope adapt this recipe to make cookies and cream, and possibly a cookie dough variation if I remember where I saw the no-egg cookie dough recipe. Both recipes are from the awesome blog Finding Joy in My Kitchen. The S'mores Ice Cream is found here and the Vanilla base found here. Only minor modifications were made, such as adding a pinch of salt to the vanilla and omitting the mini-marshmallows. 1/2 C chocolate chips (I used a half a large semi-sweet big bar of Ghiradelli). 1. Whisk together sugar, half & half, and cream until sugar is dissolved. 3. 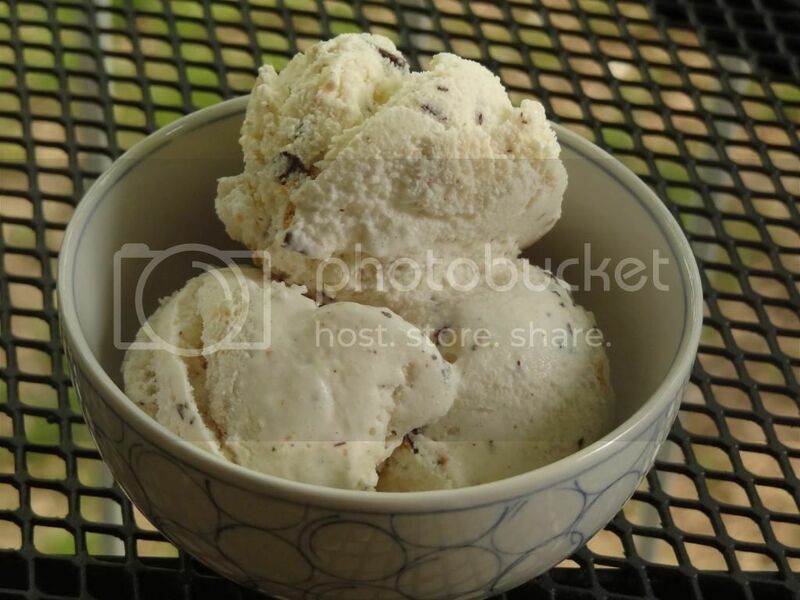 Pour mixture into your ice cream maker and churn per the manufacturer's instructions. (Using my Kitchen-Aide Stand Mixer (with ice cream bowl), it took about 20 minutes.) Once you have a soft-serve consistency, stir in add-ins. 4. Serve immediately or freeze for a few hours until desired firmness is reached. Makes about 4.5 cups, without the marshmallows.